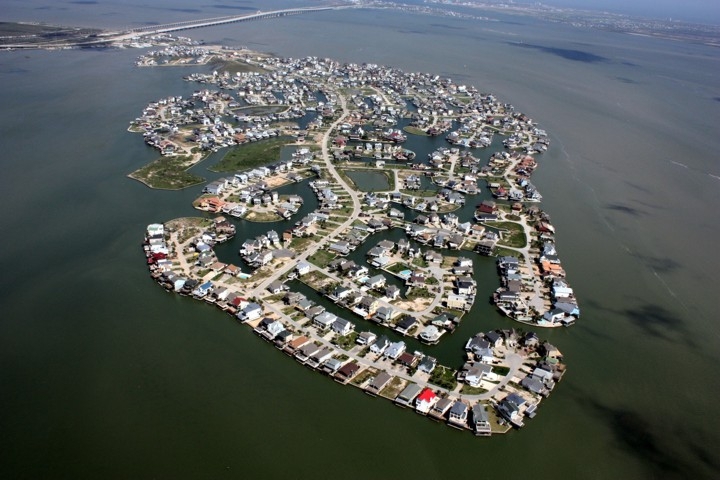 Tiki Island, a tiny peninsula located just 5 miles west of Galveston Texas, and 40 mile southeast of Houston, makes water front living a breeze. All of the home sites are built around canals and provide convenient access to Galveston West Bay and the endless opportunities for salt water fishing. The community is zoned ‘V’ or High Velocity; therefore all of the homes are elevated on stilts, per the standard Texas Coastal Building Codes and FEMA regulations. This wonderful waterfront community was incorporated in 1982 and has its own police department, volunteer fire department and city hall. The approximately 850 homes make for a very intimate community and friendly neighborhood in which to live. The community has an active Home Owners Association and an Architectural Control committee. These two groups help to keep the community ordinances enforced and the maintenance of the subdivisions’ value. When you call Tiki Island home, you will feel like you are on vacation 365 days a year. So, Bring your boat, bring your fishing pole, bring your deck chairs…..bring yourself! Come and see how easy it is to own your waterfront dream home!